Working has a few major advantages over not working. Whilst being able to pay your bills is probably the major reason, I thought that I would spend a few moments musing on a different advantage – without the stress of work the enjoyment of holiday time would not be so sweet. I mean, how do you enjoy a holiday if you spend your whole life at leisure? What are you doing on holiday that’s different to normal when it is the case that you never go out to work? This week, Gloria and I have been on holiday from our respective employers and have thoroughly enjoyed the time. This is in spite of us not venturing very far from home. 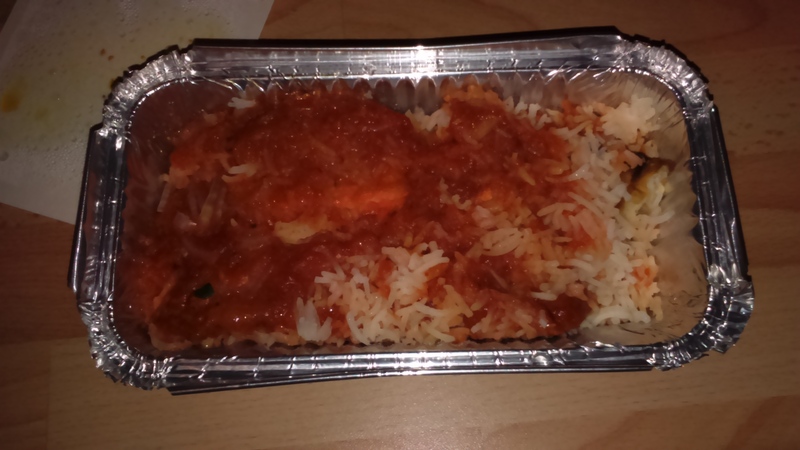 Apart from being on holiday from work, one thing that we don’t do every week is to buy takeaway food. And so, we have eaten out every day and loved every mouthful of the experience. We’ve only eaten once today – this evening at the local Indian (or is it Bangladeshi?) restaurant. We both had a starter and both of us had a main course but neither of us had space in our bellies for pudding. Actually, I did venture into the workplace today as I had to pick something up that had been delivered there this morning. A few people spoke about work things to me while I was in the office. I pretended to listen intently but my brain is usually able to ignore work things when I’m not on duty. It’s an awesome talent and helps to keep me on the right side of high anxiety. One of my colleagues even moaned that he worked late last night and suffered the same fate that I did last week. Time for a cup of tea, I reckon. And praise be to God that I’m free to do all of this.